Fun to wear and so fashionable small size Red As A Rose Ring. 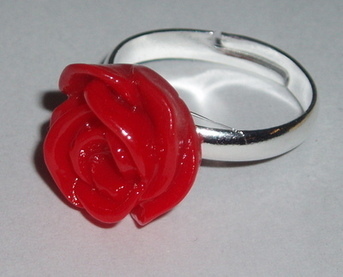 Lovely neat red rose cabochon securely glued onto a sliver plated childs size adjustable ring blank. Just what all the little ones want just now.